How did a Polynesian become a hero of the Russian Empire during WWI? 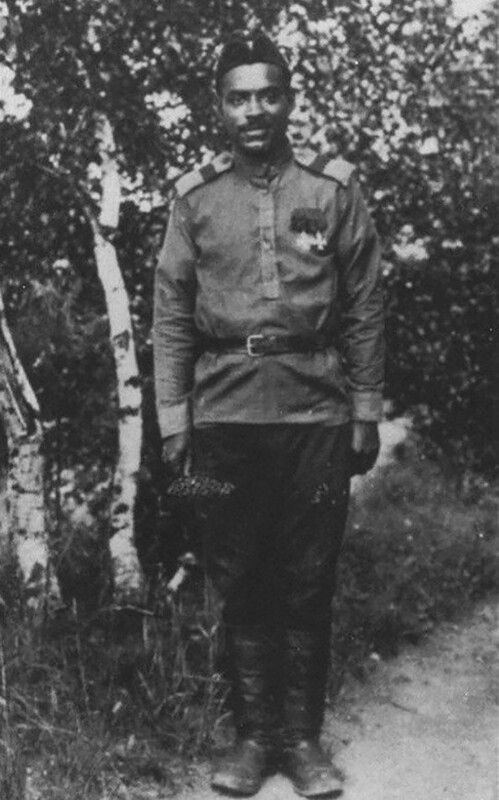 Probably the only Polynesian in the Russian army, Marcel Pliat was twice awarded for his courage during the Great War. Moreover, he showed himself as a promising aircraft designer. African, Polynesian and Indian soldiers in the French and British armies during WWI would hardly have raised an eyebrow. But to meet them among the Russian ranks was something scarcely believable. Nevertheless, one Polynesian not only served in the Imperial Russian Army, but was decorated for heroism, not once but twice. Marcel Pliat wasn’t born in the Russian Empire, but moved there with his mother as a teenager from French Polynesia. Soon, this unknown cold country became his true homeland. He learned the language, became a worker and married a Russian woman with whom he had a child. When WWI broke out, Marcel, being a French citizen, was obliged to join the French Army. Instead, he volunteered to fight for Russia, with which he had much more in common. His outstanding technical skills allowed him to jump from being a common driver into aviation. Pliat was appointed a mechanic-machine gunner on the Ilya Muromets heavy bomber. At first, Marcel’s exotic origin raised much suspicion among comrades, but his dedication and professionalism soon won their hearts. 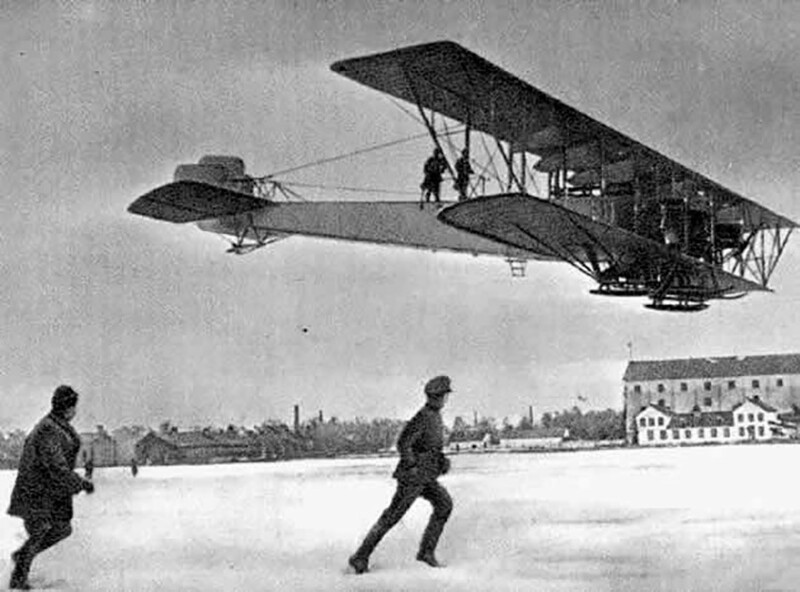 On April 13, 1916, Pliat’s aircraft received an order to bomb Daudzeva rail station. Unexpectedly, the station was heavily defended by AA guns. The plane was literally riddled with bullets and shells. The hit plane began to swivel so steeply that Marcel fell out of the cabin. His life was saved only because he had made sure to tie himself with the safety belt. After he regained consciousness, Marcel stepped out onto the wing of the flying plane to repair the damaged engine. For an hour Pilat stood on the plane’s wing, repairing the engine in a strong wind. His actions allowed the Ilya Muromets to successfully land home. For this deed, Marcel was awarded the Cross of St. George 3rd class and was earmarked for the non-commissioned rank of Feldwebel. In October 1916, Marcel Pilat got a second chance to show himself. His plane engaged in an air battle with three German fighters. The Polynesian shot two of them, after which the third flew away. This air victory shocked the Germans, who were afraid to attack the Russian “flying fortresses” for several months afterwards. For this battle, Marcel Pliat was awarded another Cross of St. George, which happened to be his last. Marcel Pliat made a mark not only on the battlefield, but in aircraft design as well. His experience as a pilot brought him into contact with the famous aircraft and future helicopter designer Igor Sikorsky. Pliat proposed making several changes in the design of the Ilya Muromets bomber, which Sikorsky accepted and used in future models of the aircraft. For instance, the gunner’s seat which, according to Pliat, was an extreme hindrance during shooting, Sikorsky made folding. It is unknown whether Marcel Pliat was killed in action or moved to France with his family to avoid the horrors of the coming Revolution and Civil War. He fell off the grid after 1916, and his fate remains unknown.